An engaging introduction to a very promising series! The answer to this bizarre question is given in a most elaborate and gripping manner by Den Patrick in his new series, The Ashen Torment. Witchsign follows the stories of two siblings, Steiner and Kjellrunn, who live in a godforsaken province of the Scorched Republics. The dragons are long dead, but the Solmindre Empire looms over the continent threatening, keen on eradicating any sign of the arcane that is associated with the dragons, the so called witchsign, by forcing every child to undergo the Invigilation. Those found positive to the taint of the dragons are taken away, and no one knows what happens to them. Steiner had successfully passed his Invigilations, until a spiteful Hierarch of the Empire mistakenly assumes Steiner bears the witchsign instead of his sister, and he is taken away to Vladibogdan, a prison island hosting dangerous secrets, and dangerous magic. To Steiner’s astonishment, the children taken away are not executed; on the contrary, they attend the four elemental schools of the Academy situated on the island, and they are forced to serve the Empire that uprooted them from their homes. Without witchsign, Steiner’s position is precarious. While he struggles to survive and outsmart his vicious enemies, Kjellrunn tries to master her skills and find a way to bring her brother back. In their respective quests, Steiner and Kjellrunn uncover conspiracies and secrets regarding their family, the Empire, and the entire world. But those aware of such knowledge are bound to be silenced. In a permanent fashion. I wasn’t aware of this book’s existence until a beautiful ARC arrived on my doorstep by the publisher, and although I was very skeptical when I started it I must say that I was pleasantly surprised. What I enjoyed the most was Den Patrick’s extensive world-building and folklore; even though Steiner’s world was bleak, colored in the shades of soot, ash and rain, its rich lore and history stood out, and I craved every bit of information regarding the mysterious order of Vigilants, the structure of the Empire, the numerous nations and their religion, and of course the fall of the dragons! The arcane was constantly a sinister presence, provoking fear to those ignorant and fascination to those who had witnessed its grandeur. Den Patrick successfully captured the terror, the prejudice of the peasants that led to cruelty, but also the intoxicating power that corrupted its wielders, that made them greedy, and, occasionally, wicked. The politics and the conflict between the ranks of the Vigilants was also one of the aspects I found deeply enthralling, lacing the story with intrigue. While Steiner’s chapters were more to my liking, since I was deeply invested in his adventures and strike of bad luck, Kjellrunn’s journey to unraveling her powers was also fascinating, and sometimes I found myself torn regarding whose point of view I was more desperate to read. There were some minor issues, though, that prevented me from giving the fifth star. First, many decisions of the protagonists were highly irrational, since they mainly acted on impulse without regard to the consequences (I mean, there is a reason everyone questioned Steiner’s ability to think), and that eventually became tiresome. And second, some dialogues felt rather strained, like there was too much effort on behalf of the author to make the characters sound witty, and some others were brimming with characterization, as if they tried to convince the reader of the characters’ traits. 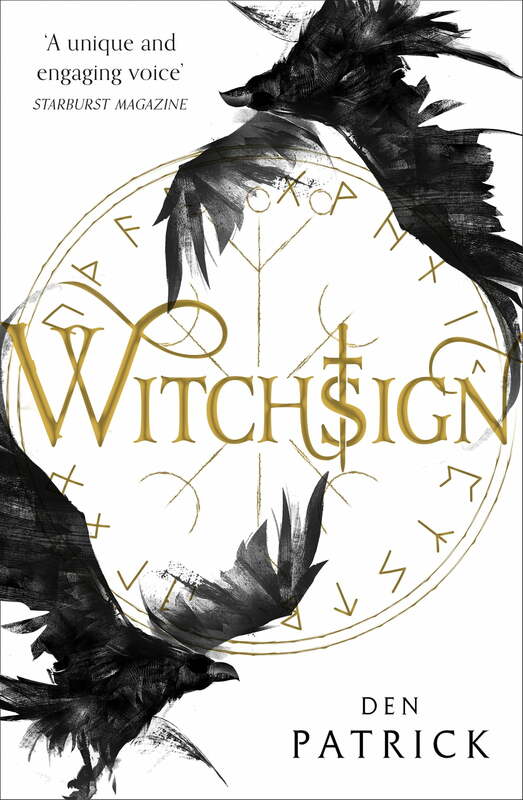 Despite the aforementioned flaws, Witchsign was an enjoyable dark YA fantasy read, featuring witches, dragons, shady villains and action, and I am looking forward to the next installment!